Within the animal kingdom there is a surprisingly low number of species that walk or maneuver exclusively on two legs besides birds and dinosaurs. To define bipedalism, the animal must use two legs for most of its locomotion. For example, while humans can crawl on all fours, we obviously are bipedal and use two legs for the majority of movement. In contrast, there are many animals that are skilled at walking on two legs but are certainly quadrupeds. 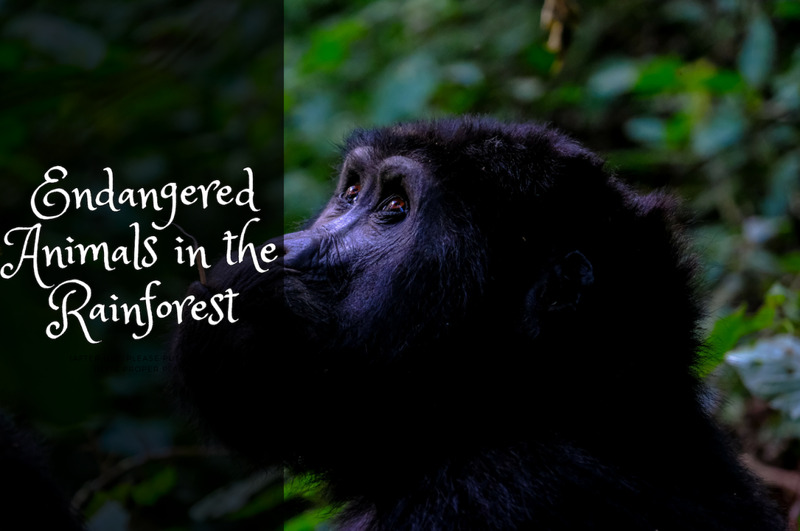 Our closest living relatives, the great apes, can certainly appear human-like when they walk upright, and other primates, such as lemurs, amuse people when they ‘skip’ for brief periods. Here’s a quick synopsis of some species that move well on two legs but are not bipedal. Black bears. These animals may have the most shockingly human-like strut that rival even primates. One instance of an injured black bear went viral and many people believed the animal was a man in a bear suit. Great apes. It’s no surprise that our closest relatives, gorillas, chimpanzees, bonobos and orangutans can walk on two legs, although knuckle walking is their preferred form of movement. Gibbons. The lesser apes walk well on two legs too, often to comedic effect. Frilled dragon. Aside from having the ability to display their frills, frilled dragons can run on two legs, as can many other lizards. Another famous example is the green basilisk, sometimes called the ‘Jesus lizard’ because it can run bipedally on water. 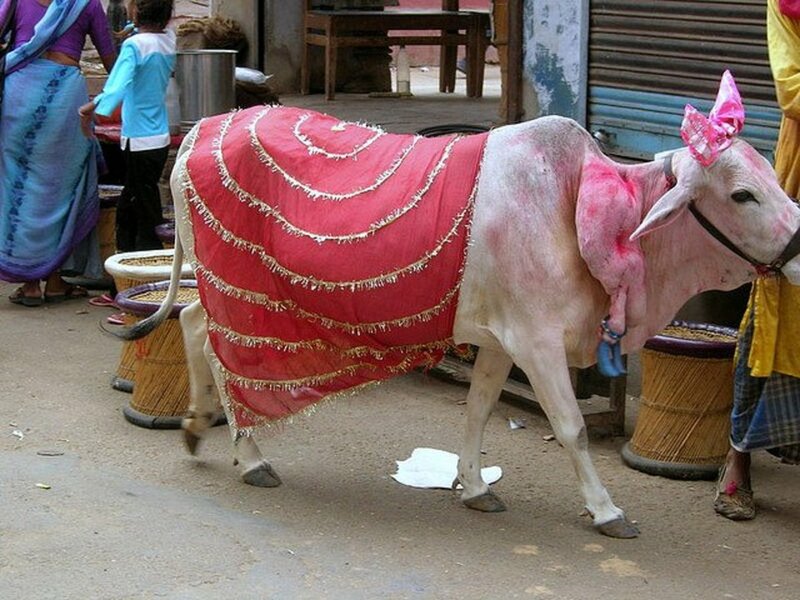 There are even some animals that aren’t normally bipedial but can adapt to moving that way after they are injured or born with certain deformities. The aforementioned black bear was one example. Many injured dogs or those which received amputations walk surprisingly well on two front legs or two back legs. Multiple other examples can be found online including a pig that can walk on two front legs, disabled cats, and more. These animals are otherwise not true bipeds. 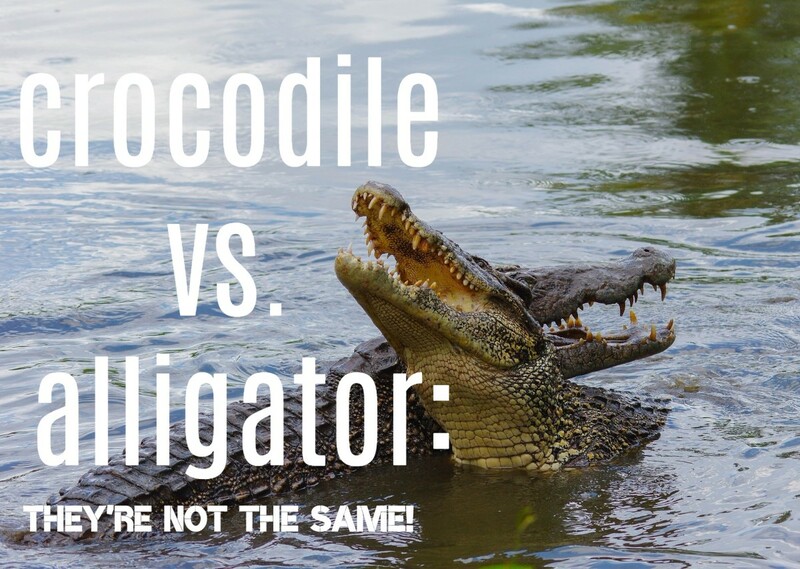 There are very few examples of extant non-avian (birds) animals that walk on two legs, and even less that do not hop (more specifically there are two: humans and to a lesser extent, pangolins). Why this is so rare is not well-understood. Here are the only living species in the world that are bipedal. Instantly recognizable are members of the Macropodidae family of which the most popular inclusions are kangaroos, wallaroos, and wallabies. These are informal names that are designated by the relative sizes of the species. 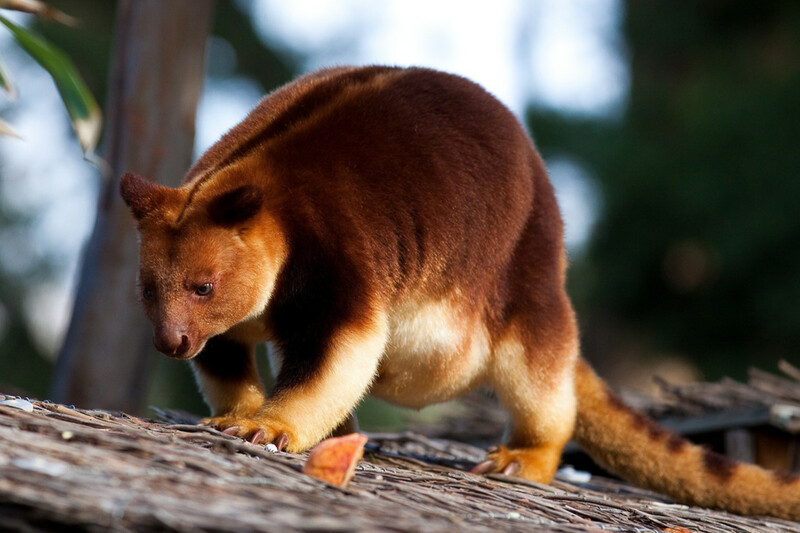 There's also the tree kangaroos which are arboreal, but they hop bipedally on the ground. The rest of the species in the family are little-known by the public, and are dorcopsis, pademelon, and quokkas. 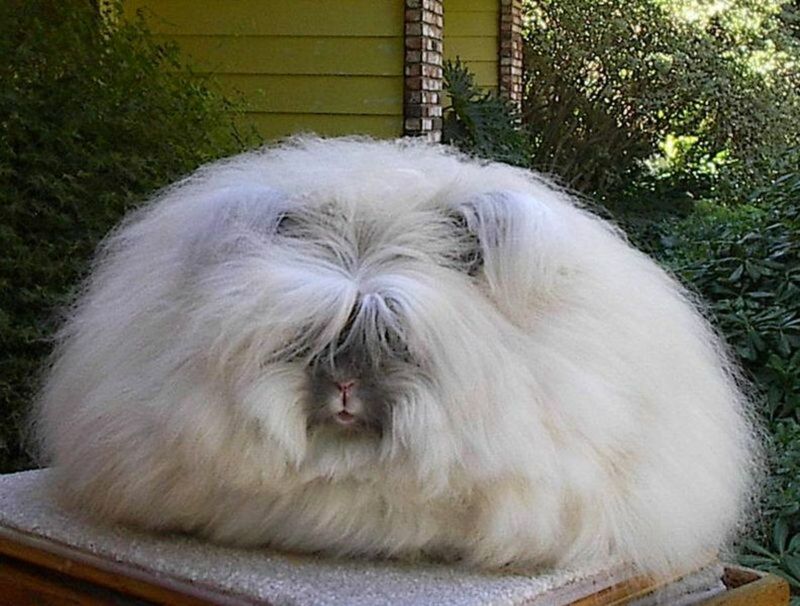 The latter has enjoyed some recent popularity as the "happiest animal in the world" due to their unusually calm temperament and cute appearance. All macropod species are not exclusively bipedal, however. Most of the bipedal hoping motion is accomplished in faster speeds. 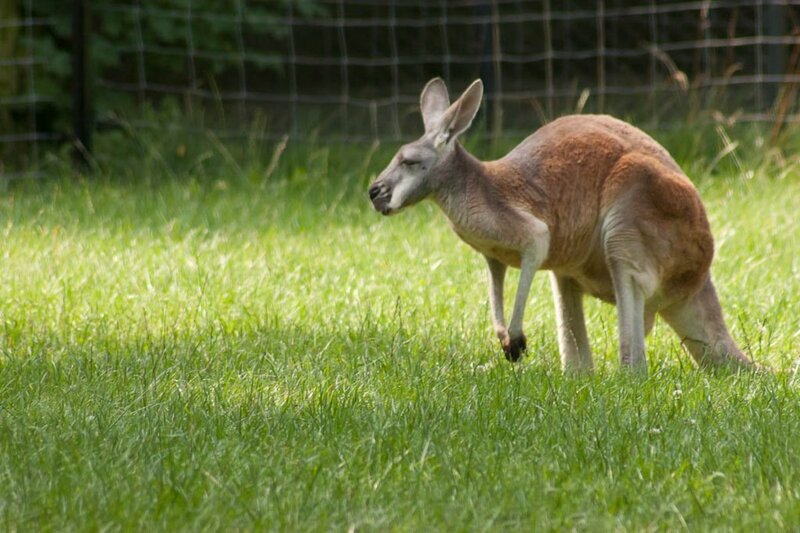 Unlike humans and birds, macropods have to lower their front legs and scoot forward using pentapedal locomotion to move slowly. They also employ the use of their tail that is planted on the ground with their legs for movement, which can be seen in the video below. Kangroos. The largest and most iconic group. Wallaroos. Slightly smaller than a kangaroo. 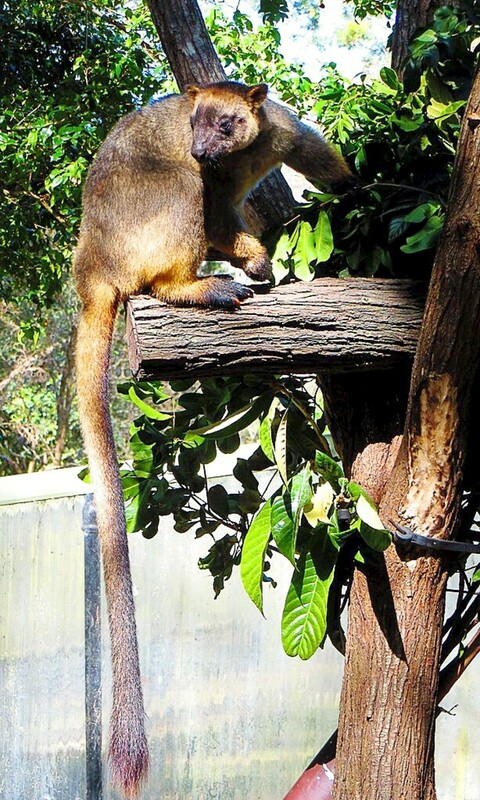 Tree Kangaroos. These animals are mostly arboreal and are described as clumsy on the ground, but they still hop bipedally. Dorcopsis. Smaller macropods found in Indonesia and New Guinea. Wallaby. Many macropods that are similar in size are referred to as wallabies, however they exist in different genuses. Other species have common names that are the hare-wallaby, swamp wallaby, and rock-wallaby. Quokka. These cute little macropods are found in their highest populations on surrounding Australian islands. 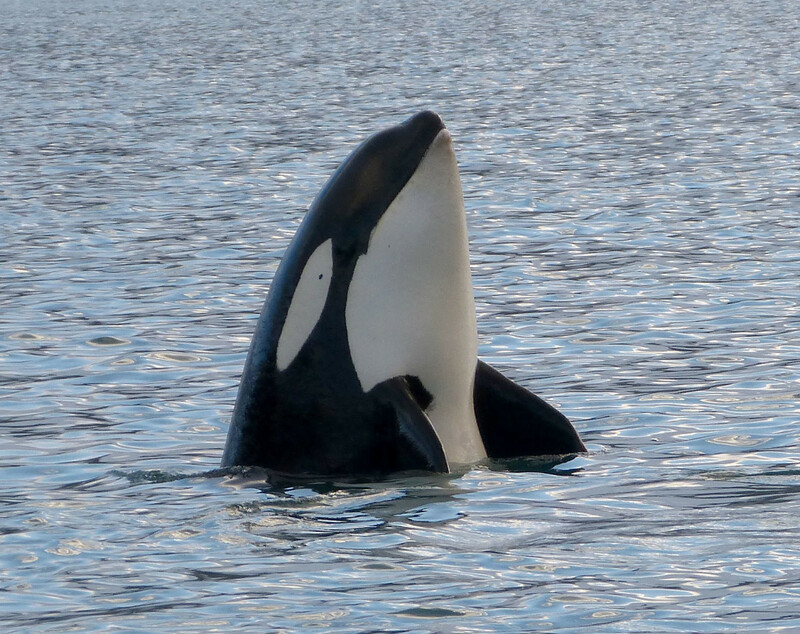 Their populations have been severely fragmented on the mainland. Pademelon. They look very similar to wallabies but can be distinguished by the short, thick and thin hairs on their tails. Besides the macropods there is the suborder Macropodiformes which includes the kangaroo family as well as potoroos, bettongs, rat-kangaroos and allies. Of this family only the bettongs are bipedal, ambulating with a hoping motion similar to their wallaby relatives. In appearance, they resemble rodents. The Rufous rat-kangaroo is another bipedal species also called a rufous bettong but in a separate genus. The few species that have evolved bipedal locomotion have the advantage of better predator detection due to their elevated head, increased dexterity as a result of free hands, and enhanced endurance (but not speed) and locomotor performance. Another Australian mammal is the kultarr, which resembles a rodent or shrew shaped like a macropod. 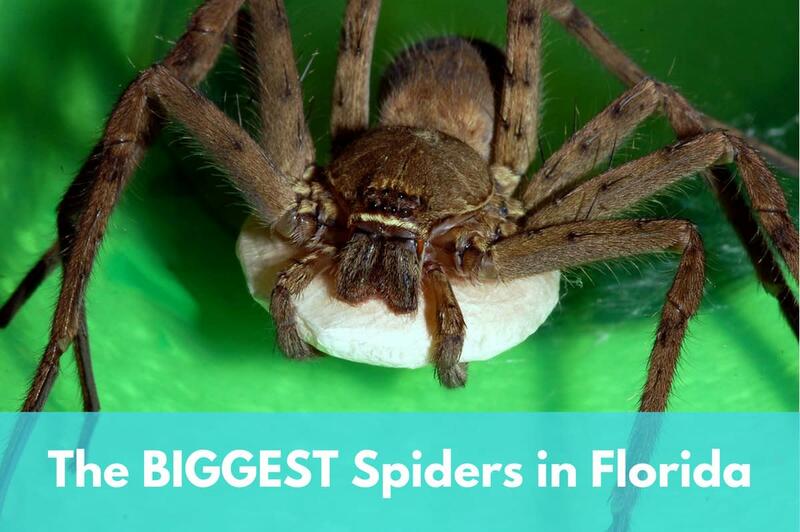 It is insectivorous and uses bipedal hopping. Similarly to hibernation, kultarrs enter a state of torpor where they reduce their body temperature. This is in response to the harsh and arid environment of which they live. 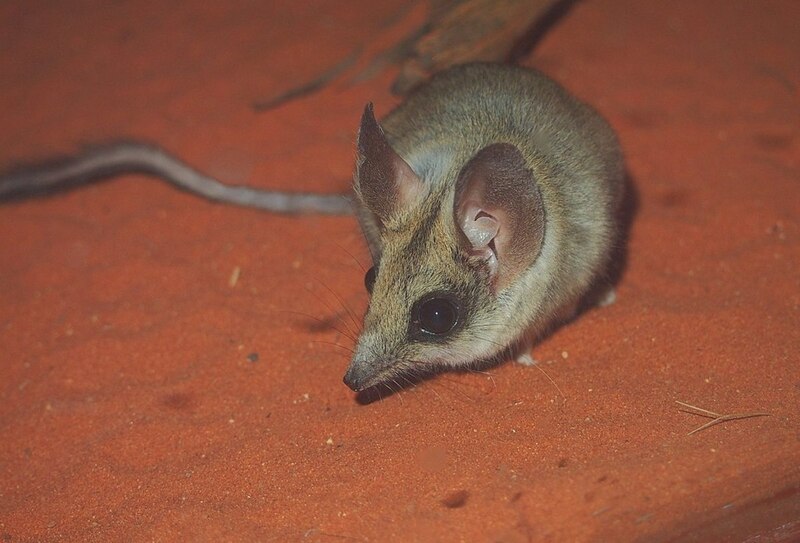 These unusual rodents resemble large jerboas (below) with rabbit ears and long nails that they use for digging. Springhares, also called springhaas in Afrikaans, live in South Africa in grassy and sandy environments where they forge for tubers, grasses, and less often, insects like grasshoppers. Their main method of locomotion is bipedal hoping, and it looks remarkably similar to kangaroos and wallabies. While they also use all four limbs in slower movements, they are capable of smaller hops on two legs when they inch forward, even with their legs fully extended. 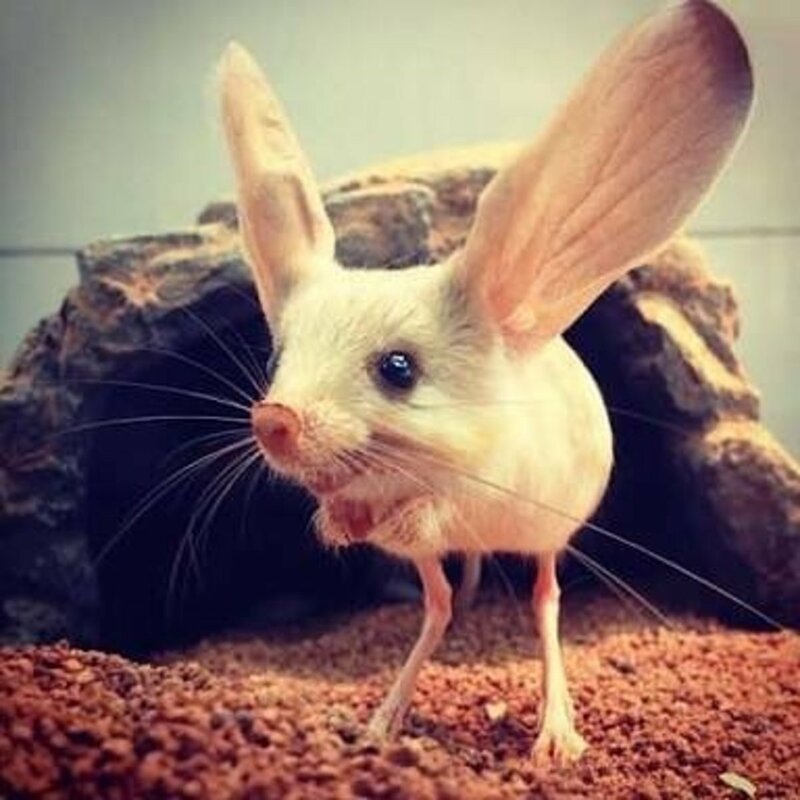 Jerboas are tiny rodents that come in different relative sizes, from the Greater Egyptian jerboa to pygmy jerboa species. Some species have large rabbit-like ears similar to springhares. They are found throughout Northern Africa and Asia. Unfortunately they tend to do poorly in captivity. Pangolins are also called, scaly anteatrs and like anteaters, they have a diet of mostly ants and termites. Pangolins are heavily exploited in the wild by poachers and this has led to some species becoming critically endangered. They also suffer from habitat fragmentation. Unfortunately, they are also difficult to breed in captivity. Some pangolins are arboreal and others dig burrows. Certain pangolin species are partially bipedal and walk a few steps with two legs. Despite hailing from Australia, these animals, that are of the genus Notomys, are rodents. These small mice are under threat from introduced species such as feral cats and foxes, which are also responsible for the extinction of other members in the genus. 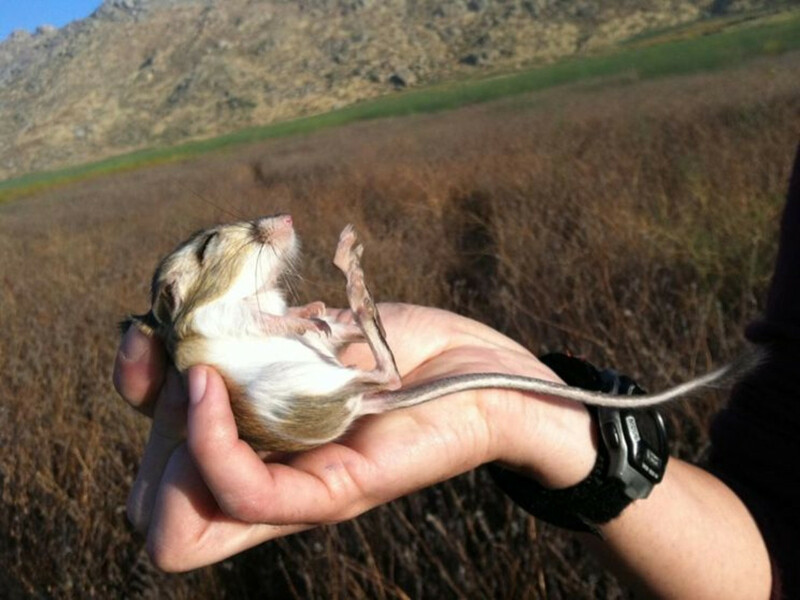 The subfamily Dipodomyinae includes several species of kangaroo rats and mice that hop bipedally. As they are native to North America, they are the only bipedal non-human mammals in that region and like springhares, they dig burrows that they reside in during the day to escape the desert heat. Wallaroo? Umm wallaby? 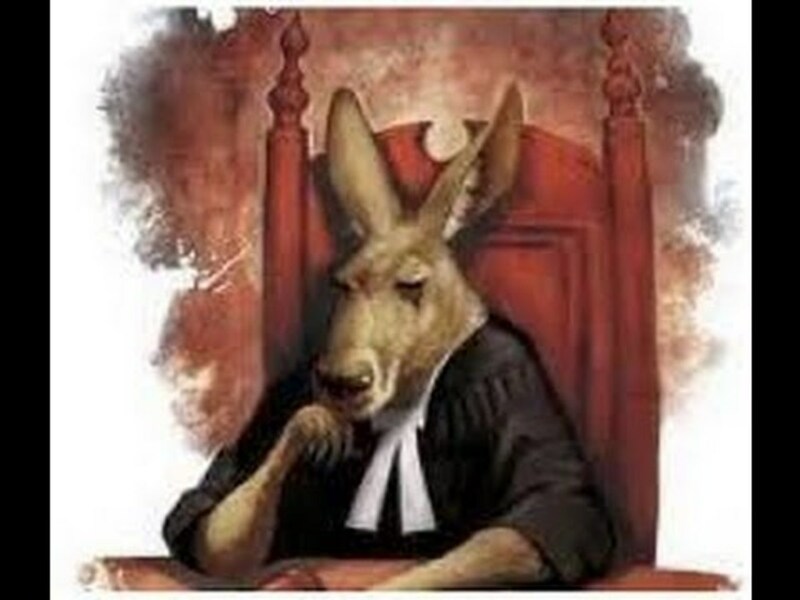 And I think you mean kangaroo, not kangroo..